'Most of the dishes I cook are big dishes as we are a family of six, my partner Ben and myself, my stepsons, Hal and Orion, and our sons Bay and Oscar,' and so starts Kirstie Allsopp's very first cookbook. As someone who didn't learn to cook at her mother's apron strings, Kirstie has had to learn as she's gone along. Luckily she's been blessed with great advice from the cooks, bakers and chefs she's worked with and recipes inherited from friends and families over the years. In Kirstie's Real Kitchen she brings together her favourite recipes - the ones she relies on to feed her family, and whoever else happens to be around. 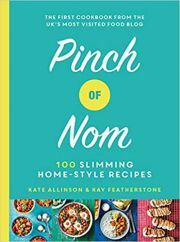 From weekday suppers and entertaining a crowd, to dealing with fussy eaters and outdoor eating (essential for families with lots of boys), the book is full of the recipes that are at the centre of Kirstie's family life. Whether it's a quick supper that has to be expanded to cater for last minute arrivals, a breakfast fry-up to lure a recalcitrant teenager out of bed, or a school gate bake to impress the most competitive mum, Kirstie's instinctive warmth and style shows how to make something special out of the everyday. Packed with delicious recipes and stories from family life, the book gives a unique glimpse into the kitchen of the Queen of home-making, Kirstie Allsopp.